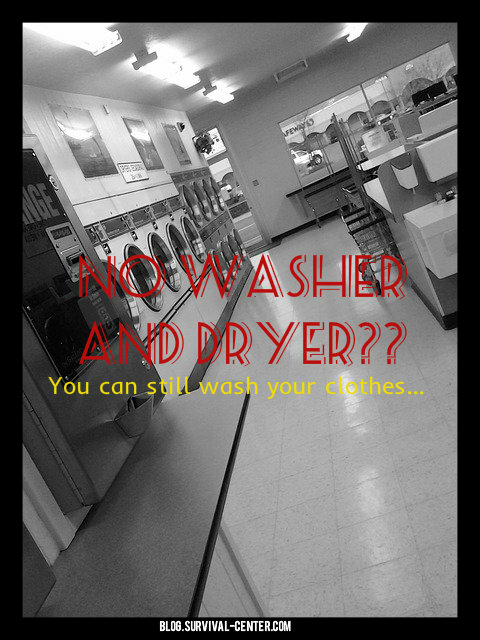 How to Wash Clothes Without a Washer and Dryer? In an emergency situation, you might need to wash your clothes, yet are unable to access a washing machine. Let’s a take a look at some of the best ways for how to wash clothes without a washing machine. Fill your bathtub with just enough water to cover your clothes, and then add the appropriate amount of detergent. Allow them to soak for around 10 minutes or so. After that time, take a new toilet plunger (that has never been used before) and attach it firmly to the bottom of the bathtub. Work the plunger up and down to mimic the effects of your washing machine’s agitator. After cleaning your clothes, drain the bathtub to remove the dirty water. You can then either rinse the clothes under fresh running water or use a separate bucket full of clear water to remove soap from them. Wring them out carefully by hand before hanging the clothes out to dry. If you have access to an old-fashioned washboard, you can use it in conjunction with a bucket in order to clean your clothes. Rather than plunging them to remove dirt, simply rub them against the washboard instead. Do this when washing your clothes, and again when rinsing them, to remove as much excess water from your clothes as possible. Avoid using your washboard to wash delicate or knit clothing, as they could have a tendency to snag and tear. Once you are done washing clothes, dry your washboard carefully and then hang it in a dry location in order to keep it from rusting. Just because you are out of power doesn’t mean you can’t still have clean clothes. Washing clothes might take more time and effort under these circumstances, but will still be possible regardless of where you are. Be sure to check out the Survival Center Blog tutorial about how to make your own homemade laundry detergent. This entry was posted in Homesteading Tips, Survival Basics on May 20, 2014 by David Adams. Where have you people been? When my wife and I got married we had no washer or dryer. We lived in a third floor walk up and soon had a new baby. I was in the Navy after serving in the Army. This was in the 50’s Korea and all that>The only difference was, we didn’t have anyone to tell us how to do what was needed. We had to use our wits and brains. 60 years later we are doing a little better. It could be much better if we didn’t have all this “Help” the Government says they are giving us. Our solution is Leave us alone!!! Get out of the way! As the song says, “we can do this job all by our self. Please!!! I remember my grandmother boiling her laundry on a kerosene stove in a big galvanized wash boiler. She would put Fels Naptha in it. I don’t remember how long she left them on the stove…when they were done, she fished them out with a smooth 1 x 1 board that she kept for that purpose, and carried them to the galvanized double sink to rinse them. make whites whiter. The rays of the sun will be the only bleach you need. And your clothes will last longer. From one who is old enough to speak from personal experience. I never waste money on stain pretreaters. Soaking clothes for minimum of half hour in cold water with normal laundry soap gets out most stains. When I covered pillows and sheets with blood after tooth extraction, I soaked it all in cold water and normal laundry soap for two days and got all the stains out. I also never use full scoop of soap. For oily stains when husband drips barbeque sauce on his dress shirts a quick rub with dish soap fixes the problem. Ink stains come out with hairspray and gentle bloting with rag. Waxy stains come out by covering with brown paper bag to absorb wax and applying heat. I use an old iron for that. Sticky spots go away with cotton ball soaked in lighter fluid. Lighter fluid is an awesome cleaner for any sticky spots around house. Just keep rag handy to dry surface. And make sure room is ventilated because it stinks. One stain I haven’t conqured is Sharpie pens. Anybody got tips on that? As to rags, I was astonished when husband threw away white sock because it had hole in it. I rescued it and cut it open so it would not end up back in his sock drawer. But they make the nicest rags. Over the years, I’ve built up a nice grocery bag full of rags from his and my socks. They’re absorbent, they scrub well and they’re already paid for. When they get dirty, just throw in laundry and wash with whites. Much cheaper and better for environment than paper towels. Another tip is when you change toothbrush, don’t throw old one away. Run it through dishwasher or boil it to sanitize. When cleaning mud from the bottom treads of shoes or scrubbing soap scum from between tiles in shower, old toothbrushes are just the right size. I keep old tooth brushes all over the house for cleaning jobs. me. Personally, if all website owners and bloggers made good content when you did, the net will be a lot more useful than ever before.